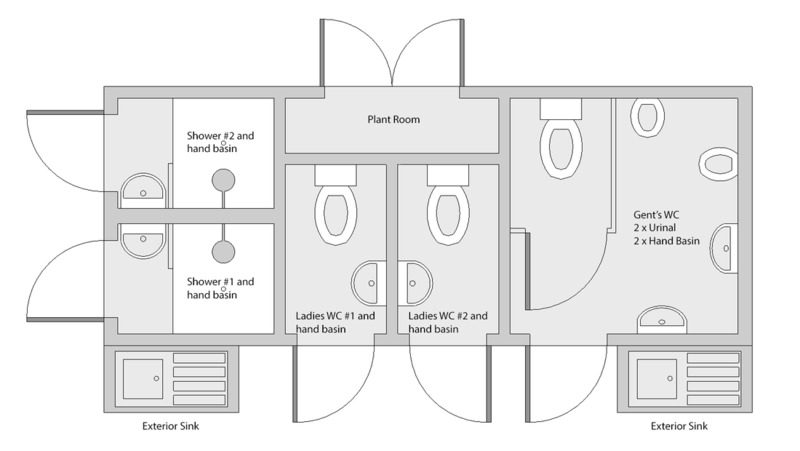 Designed to provide facilities in excess of a recommended provision for 30 campsite pitches, this container is fitted to an exceptionally high standard inside with two hot private showers, two private ladies WC, a private gent's WC and urinal, all complete with hand wash basins. 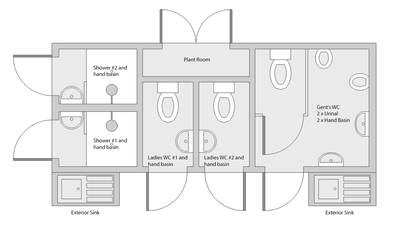 Fitted with a compact gas boiler, all this unit requires is a suitable drainage, water and electrical connection. 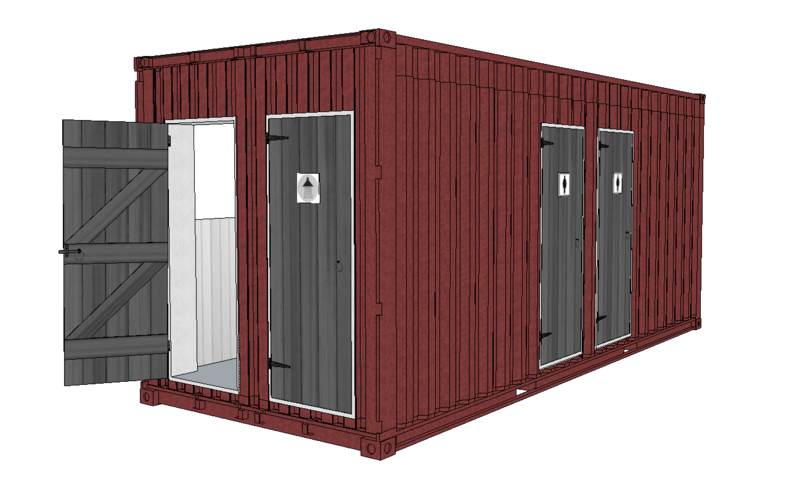 ​This is also ideal for festivals and is robust enough to be loaded and transported with ease just like a regular shipping container. It can also be fitted out to suit your event or venues needs'.